The week of the Florida – Georgia football game in Jacksonville is always an exciting and busy time. RV City begins filling with fans of both teams displaying their team pride with flags, banners, signs, colorful awnings, mannequins, and even more interesting displays. Fans of these teams are zealous to say the least. And that includes the brewers at the two breweries in each of the team’s home towns. Swamp Head Brewing Company calls Gainesville, Fla. home along with the Florida Gators, while Terrapin Beer Company hails from Athens, Ga. the same as the Georgia Bulldogs. Four years ago the owners of the two breweries began talking about brewing a collaboration beer to commemorate the annual gathering known in Jacksonville as the World’s Largest Outdoor Cocktail party. An entry on the Swamp Head blog says, “Since our inception, we have thought ‘It would be fun to do a beer with our friends at Terrapin for the Florida Georgia game in Jacksonville.’” This year, those discussions came to fruition with the Swamp Head/Terrapin collaboration Bitter Rivalry. The two brewers began to toss out ideas, Craig Birkmaier for Swamp Head and Spike Buckowski for Terrapin, but the conversation kept coming back to using the other thing each state is known for: Florida oranges and Georgia peaches. So, the two settled on an English Bitter style brew with hints of both. They also wanted to make the beer sessionable so they kept the ABV low so that fans can enjoy many pints as they celebrate their teams and with friends. Because both breweries are supporters of their home teams, they also decided to come to Jacksonville for the game and host several tasting events. If you would like to try the beer with the brewers consult the schedule below to find out where they will be. Or, if you just want to know where you can find a pint of this delicious collaboration, check the handy list provided below as well. No matter which team you root for this weekend, be sure to try this Bitter Rivalry and remember to party safe and responsibly. Thursday, October 31, join the brew crews from both breweries at Aardwolf Brewing Co., 5:00 p.m. — 7:00 p.m.
Thursday, October 31, the fun continues at Mellow Mushroom Southside for the Halloween Party, 8:00 p.m. — 10:00 p.m.
Friday, November 1, head over to World of Beer – Jacksonville Southside, 6:00 p.m — 8:00 p.m.
Friday, November 1, onto Green Room Brewing, 9:00 p.m. — ? Saturday, November 2, head down to Fionn MacCool’s Irish Pub, 11:00 a.m. until game time to enjoy brews with crew. The distribution of this beer will be very limited and it will all be released starting on Thursday, October 31st. Most of the beer will be distributed in the Jacksonville market for FL/GA weekend with some reaching into St. Augustine and a small amount will stay here in Gainesville. We will have the beer on draft at The Wetlands starting Oct. 31 as well. Here is a list of the locations that will be getting kegs of Bitter Rivalry: Remember, this beer will probably go quickly and won’t be tapped until Thursday. Every year about this time, downtown Jacksonville turns into a huge party. Everywhere you look there are signs in orange and blue as well as red and black advertising drink specials and raucous entertainment. Hundreds of RVs roll into the parking lots surrounding Everbank Field. Awnings roll out, and the three day long party begins. It has been dubbed as the “world’s Biggest Outdoor Cocktail Party,” and the reality lives up to the hype. 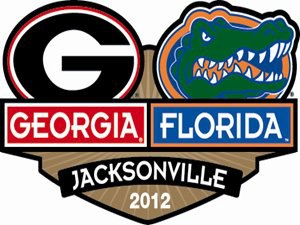 I refer to, of course, the annual gridiron clash of fierce rivals the University of Florida Gators and the University of Georgia Bulldogs that takes place in Jacksonville every year as a matter of tradition. The history of the Florida – Georgia rivalry is one steeped in tradition, but hazy in its origins. As is to be expected, the two teams do not agree when it all began. Georgia says the rivalry began in 1904 when its football squad played a University of Florida team in Macon, Ga. Georgia dominated the Florida team by a score of 52-0, but this team was not from the University of Florida in Gainesville. It was from one of the four schools that merged to form the modern University of Florida. The first game that is recognized by both schools was played in 1915. This year the rivalry extends beyond the field and into the pubs, bars, and breweries of Jacksonville with events that pit Florida beers against Georgia beers. The classic rivalry will play out at Northstar Substation Friday, October 26 with brews from Gainesville’s – home town of the Gators – Swamp Head brewery squaring off against the beers of Terrapin Brewery which is situated in Athens, Ga., home of the Bulldogs. Beginning at 4:00 p.m. stop by the downtown bar and restaurant located at 119 East Bay Street to support your favorite brewery. There will be multiple taps for each brewery and representatives as well! If you are out at the beach and would prefer to keep a bit of distance from the seething masses, you can still participate in a Florida – Georgia rivalry. Green Room Brewing Company will host a tap takeover featuring beers from both states. While there, be sure to try some of the brews produced by the Green Room team right there on-premises. Favorites like Pablo Beach Pale Ale and Double Overhead IPA are sure to please. Finally, cruise on out to the Southside of town and stop in at Mellow Mushroom in Tinseltown. There you will find another Florida vs. Georgia tap takeover with Terrapin’s founder John Cochran. He will be fielding questions as well as serving up Terrapin’s delicious Pumpkin Fest beer in real hollowed out pumpkins. 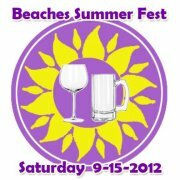 See all the beer-centric events happening in Jacksonville at: www.jaxbeerguy.com. Florida is a burgeoning hotspot for the craft beer world right now. According to industry website Rate Beer, there are more than 85 establishments that brew beer for public consumption in the state with many more in the way. One of the most promising is the small, but growing, brewery that makes its home among the Gator fanatics in Gainesville – Swamp Head Brewery. Luke Kemper did his college studying in Colorado among the booming craft beer scene in and around Denver and was often called upon to bring home cases of beer on school. For a while that was OK, but soon a seed of an idea began to grow – maybe Gainesville needs its own craft beer brewery. It was from that see that he grew the idea of Swamp Head Brewery. It was not an overnight process; Kemper rallied the support of the local government and rounded up his equipment before producing his first batch in April of 2009. Swamp Head operates on a 10 barrel, two-vessel, copper-clad brewing system. It is not a large system and the little brewery works hard to keep up with demand. And demand for the breweries products is definitely there due in no small part to the extraordinary skills of head brewer Craig Birkmaier. Kemper believes that craft beer keeps gaining popularity because of the current generation’s desires for more choices and exciting new products. He also attributes it to the growing “Culture of people wanting to support local.” He believes that people want a sense of ownership and take pride in their local products. Something that he practices as well as preaches as is evident in his company motto; Inherently Floridian. Kemper take great pains to purchase as much of his ingredients form local suppliers and even donates his spent grain to a local cattle farmer to feed to his livestock. Under Birkmaier’s watchful eye, brews from Swamp Head have garnered multiple awards with many more on the horizon. Some, Kemper hopes, will come at next month’s Great American Beer Festival in Denver. This year will mark the third appearance at the GABF for Swamp Head. “We have to make a name for ourselves,” Kemper says. To that goal, Kemper is bringing his brewing staff to man the brewery’s booth Friday night and all day Saturday. Smoke Signal – A 2011 Gold Medal Best Florida Beer award winner, this is an American-style Smoked Porter that clocks in at 6.9% ABV. Stumpknocker – Took the Silver Medal in 2010 and the Gold in 2011 as Best Florida Beer, this brew is a American Pale Ale that benefits from two dry hop additions. Dark Water – Another award winner, this brew took the Gold in 2011 for Best Florida Beer and was created through a collaboration with Eric Lumen of Green Room Brewing in Jacksonville Beach. This is an American-style Black Ale at 6.4% ABV that gets its color from chocolate wheat malts. Cottonmouth – This Belgian-style Wheat Bier is 5.0% ABV and brewed with coriander and bitter orange peel. Catherine’s Passion – Silver Medalist in 2011 Best Florida Beer Awards, this Russian Imperial Stout is infused with organic cocoa nibs and dark roast organic fair-trade coffee. Kemper is excited to attend the GABF again this year. “There’s a lot of craft beer out there,” he says, referring to his old Colorado stomping grounds. 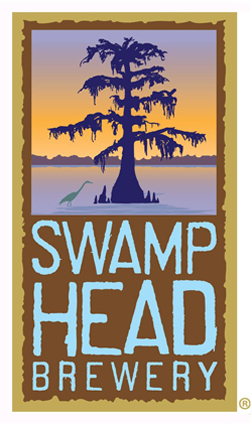 With the addition of the exceptional beers from Swamp Head, there is even more. Asheville, NC is beertopia. At least that’s what their local tourism website says — and it is also what this year’s Beer City USA poll says. For the third year in a row, Asheville has garnered the top honors as a beer city to be reckoned with. A small town of only 80,000 residents, Asheville has been making waves in the craft beer world for a while now. But, though the town may be small, it has big things going for it. Think the Biltmore, Blue Ridge Parkway, beautiful scenery, mountain backdrops, and a thriving craft brew scene. 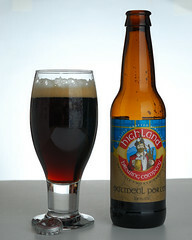 The Asheville beer you are most familiar with here in Jacksonville is probably Highland. A few months ago I ran an article about this brewery and its founder (Love and Hops with Marc Wisdom: Highland Edition). Well, they started the craft brew trend in Asheville and it really took off! About 15 years ago Oscar Wong, a retired engineer who lived in Charlotte, moved to the Asheville area to help an award winning brewer get his brewery off the ground. They started in a small basement that was quickly outgrown. Last year Highland Brewing Company brewed over 18,000 barrels of beer. As other entreprenours entered the craft brew market and began opening breweries in Asheville, the city’s brewing tradition began to take form. Breweries like Green Man, known as Dirty Jack’s to the locals, opened to the thirsty denizens of Asheville in 1997. This tiny bar, dominated by its big screen television showing soccer matches, specializes in beers with a British bent such as its generously hopped yet balanced IPA. French Broad Brewery opened its doors in 2001 with a focus on European style beers such as Gateway Kölsch. Kölsch is a German style ale, a departure from the most well-known German style of lager. French Broad’s is faithful to the great German ales found in Köln. Another great brew to be had at Green Man include their 13 Rebels, and interpretation of the United Kingdom’s Extra Special Bitters (ESB) style of brewing with complex malts and British hops. In all the Asheville area now sports eleven craft breweries and over 50 local brews to choose from. As beer destinations go, you would be hard-pressed to find a better place to enjoy a few cold ones. Sitting on the back patio on Mother’s Day as my brother perpared a low-country boil of shrimp, sausage, potatoes, corn was the perfect ambiance for this summery hefeweizen. The bottle claims that this beer is brewed with lemongrass and upon smelling it I certainly concur. The color is coudy, straw yellow with a decent head. The taste is refreshing, lemony, but nicely balanced with malts with a lingering bitterness. As a cit-around-and-shoot-the-bull beer, this one is a winner in my book. This one was a surprise, while it was good, I am not sure it was the beer for me. The brew pours a bright, clear yellow with good carbonation and head. The smell is sweet and grainy. On my first sip I immediately wondered if I was drinking wort — it was that grainy and sweet. Not that that is bad, its just not for me. This is a heavy beer! Pours a deep, dark brown almost black with a thin layer of foam at the top. The smell is of darkly roasted malts, smoke, coffee, and earthyness. The flavor is, as the aroma alludes, rich, dark coffe and roasted grains with a hint of earthy hops. A very good beer from a very good brewery. I believe I mentioned in a previous post that May was going to be a busy beer month. Now, that is no complaint mind you, merely an observation and a reminder that if you want to run with the big dogs in the Jacksonville beer circuit, you are going to need to pace yourself. So, with no further ado, her is what I see on the horizon for this weekend. In 1901 the city of Jacksonville was virtually destroyed by a fire that started May 3rd at a mattress factory. The fire consumed 2,368 buildings, left 10,000 people homeless, and seven residents dead. In all, 146 city blocks were destroyed. In remembrance of the largest metropolitan fire in the American South, Bold City is tapping a Barrel Aged version of it’s 1901 Red Ale . Grassroots in 5-Points has always been a Mecca of good craft beer choices and a regular host of beer tastings. This week they are sampling from Ayinger (pronounced aye-ing-er) Brewery. Back in October I had the Märzen style of beer produced by this brewery and fell in love with its wonderful flavors and character. The brewery, near Munich, began producing excellent German brews in 1876 including the Märzen I mentioned which became the highest rated Vienna Märzen style at the 2007 World Beer Championships. Every year the American Homebrewers Association, and advocate group with roots going back to 1942 in Chicago, holds an event they call the Big Brew. The aim of the event is to familiarize people with the art and craft of brewing beer. Locally, members of the Cowford Ale Sharing Klub (CASK) are holding a demonstration brew for the public outside Just Brew It, next to Bold City Brewery at 2670 Rosselle St. Brewers will begin to set up around 9:30 a.m. and typically brew into the early afternoon. If you have ever had an interest in learning to brew your own beer, this is a must! The gang over at Total Wine are not just into wine. These guys know beer, too! 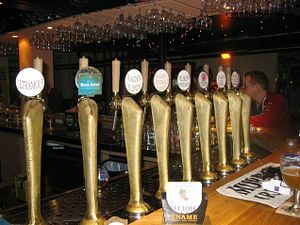 With one of the largest selections of craft beers in the city, they know beer VERY well. And on Saturday, they are willing to prove it by hosting a FREE — yes, FREE Beer Fest. 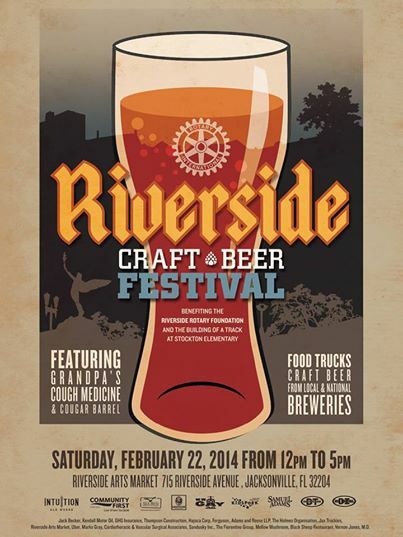 Over 20 breweries are expected to be present pouring over 50 beers. Breweries like Swamp Head, Intuition, Bold City, Cigar City, and more are expected. Now that’s nothing to sneeze at! Not to mention that I, the Fearful Leader of the Springfield Brew Crew, will also be present to represent our club, talk beer, and pose for photographs (you know you want one with me). That’s what I know is going on this weekend for now. If you know of any other beer-related happenings, add a comment or send me a note and I will update the list.